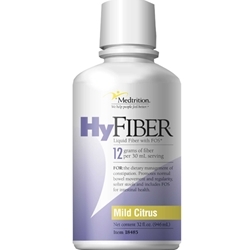 HyFiber® is unique in that it contains the prebiotic FOS (Fructo-Oligosaccarides) that is found in many vegetables. This colorless, citrus flavored liquid fiber gives you 11 grams of soluble fiber per 30 mL. This helps with regularity and softening stool. 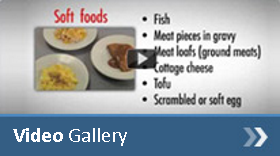 HyFiber® is a medical food. Use under the supervision of your health care professional. Not recommended for children under 3 years old. Ingredients: water, polydextrose, fructooligosaccharides (FOS), glycerin, citric acid, natural flavor, potassium sorbate (preservative). Case Size: 4/32 fl oz.